>> Leggi quest’articolo in italiano qui. Today we are going to talk with Taylor Johns, blogger of The Things My Eyes Have Seen. She is going to tell us about Ogden, Utah. Hi Taylor, what city are you going to tell us about? I would like to highlight the city of Ogden in the state of Utah. Ogden is smaller town north of the capital city, Salt Lake City. Ogden, USA. © Taylor Johns. I live in Ogden in between my travels around the world. It is the city where I was born and the city I came back to as an adult. How would you describe Ogden, Utah to someone who has never been there? The city of Ogden includes a vast area of farmland, neighborhoods and a small ‘downtown’ region set along a large mountain range. There are about 85,000 people living in the region but it has a small town feel with a strong sense of local business and community. 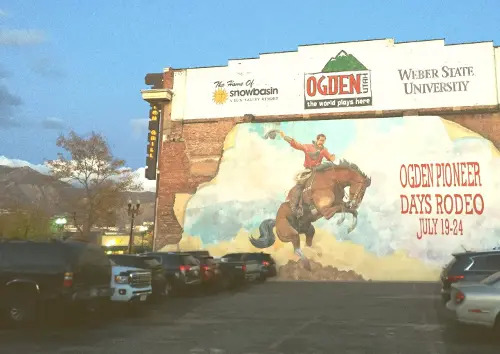 Ogden is a place that captures the ‘wild west’ history. It is the location that the railroad going from coast to coast was eventually connected. In fact, it was a notorious rowdy railroad town in the past that housed bootlegging, prostitution and gambling. Now, Ogden has many old historic buildings and has a large variety of people. You can still come and meet real cowboys in the downtown area, the motorcyclists, the beer brewers, the students of the local University, or the local artists. There are small shops, restaurants, cafes, and book stores to enjoy. What is your favourite thing about Ogden, Utah? My favorite thing about Ogden is the feeling of community. It is a great place to come and meet many different people. Everyone is somehow connected to each other so it easy to become a part of the community yourself. What is the one thing you think can’t be missed when you are visiting Ogden, Utah? If you visit during the winter time, Ogden is an hour drive to 11 ski resorts. Utah is famous for having ‘The Greatest Snow On Earth,’ the 2002 Winter Olympics were held here. Many people come for both the well-known Sundance Film Festival and skiing, however the resorts are still a great place for hiking and festivals in the summertime. What is your favourite thing to do in Ogden when you have some time off? In the summer, I love to attend the Saturday morning Farmers Market. The summertime in Utah is filled with events and activities. There is often live music and festivals; it is a very lively area and everyone is out and about. In the winter, or rainy days I love to go to one of the Grounds for Coffee cafes to work on my laptop, socialize with cool locals, or read the listings for local events. There is a small restaurant called Jeremiahs that is THE spot for brunch. The wait for a table can be quite long on the weekend, but they have hearty American breakfasts available all day in addition to other options to please almost anyone. The building is styled like an American hunting lodge, you will be greeted with friendly service and a good cup of coffee. We have a series of Mexican fast-food restaurants that consists of large, cheap burritos and plates. They go by the names of; Betos, Albertos, or Rancheritos but the building is always styled similarly. For $5 you can get a large and filling burrito that is very satisfying. They are open 24 hours and even often breakfast burritos. What’s your favourite place to have a beer or a cocktail in Ogden, Utah? My favorite is called The Angry Goat; a pub and restaurant with over 200 beers, a full bar with skilled bartenders and delicious food. But there are many places you can walk to in the same area, making it great to pub-crawl. Utah is famous for being strict on alcohol laws, but we still can have a good drink! Every person must show ID, and cocktails cannot be made strong as they have a limit on the amount allowed in the drink. Don’t let this discourage you though, as we are in very high altitude so it is better to go slow. What do you recommend doing for free in Ogden? Ogden is close to many hiking and biking trails. You can travel along the mountain range and find different trails ranging in difficulty and distance. I recommend taking a blanket and a beer with you to hike up and watch the sunset over the Great Salt Lake. Utah has incredible sunsets! Just make sure you bring a light to hike back down with. Is there one thing not many people know about ogden, Utah you would like to tell us? Al Capone supposedly said Ogden was too wild for even him in the 1920’s. While Ogden is now more of just a small town, we are still proud of our historical past. Many people don’t come to Ogden when they come to Utah. I think it is the perfect city for a small-town feel and outdoor lifestyle. It is a great access place for many surrounding destinations as well. You can access the city by train or bus from Salt Lake City. Uber can be used to get around in addition to driving. The historic downtown area is easy to navigate by foot, but to navigate the area you will need a car. Thank you Taylor for showing us Ogden, Utah through your eyes! If you, readers, would like to keep in touch with Taylor here you have her social accounts! 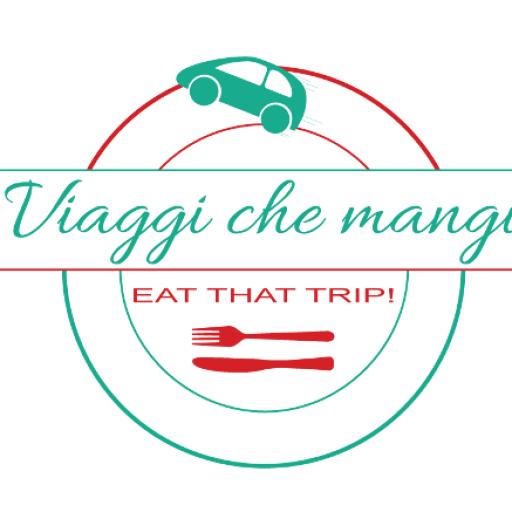 I am sure you are going to enjoy her beautiful blog and her travel tips! This was Ogden, Utah by a local, if you liked it you will find more interviews on #USAByALocal every last day of the month!